Australia ‘s aged care system is changing. Priority outcomes specified in the Aged Care Framework, launched in Canberra by The Hon Ken Wyatt AM MP, Minister for Aged Care and Minister for Indigenous Health. Australia is a diverse nation, and older people display the same diversity of characteristics and life experiences as the broader population. Our aged care systems is evolving to offer increased choice and control for consumers, and this transition to person centred care requires care to be tailored to meet an individual’s diverse needs. 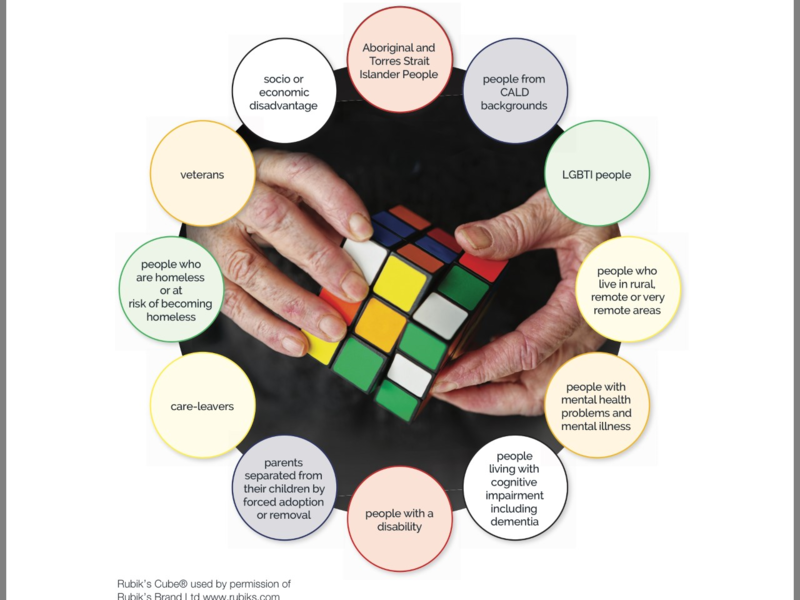 To help ensure these needs are appropriately met, the Australian Government have announced an Aged Care Diversity Strategy Framework, which will include implementation Action Plans for Culturally and Linguistically Diverse communities, Lesbian, Gay, Bisexual and Trans and /or Intersex and Aboriginal and Torres Strait islander Australians. The Institute for Urban Indigenous Health (UIH) has been funded to lead the Action Plan for Aboriginal and Torres Strait Islanders, in collaboration with the Victorian Aboriginal Community Controlled Health Organisation (VACCHO), and we need your help! To ensure appropriate input from all stakeholders, an online survey has been developed and interviews will be held throughout the country. identified evidence based best practice for aged care service delivery to Indigenous communities based on a comprehensive literature review. 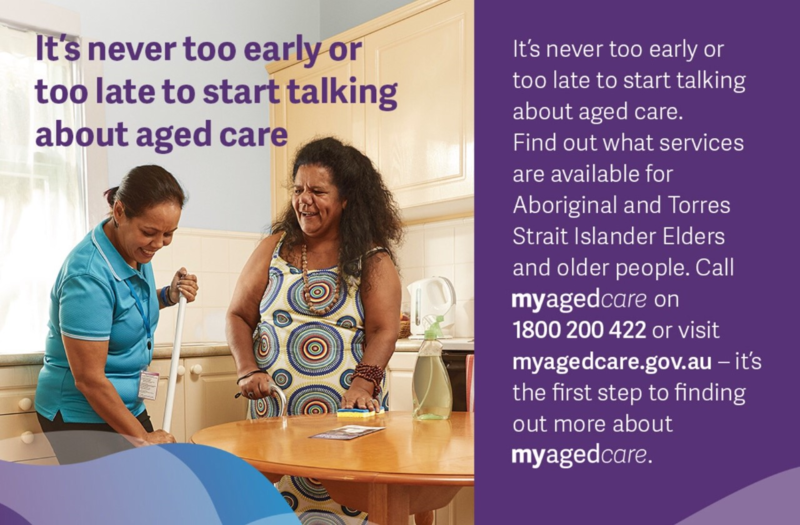 The Australian Government’s My Aged Care phone line and website can help you access aged care services to support you. For the first time there’s evidence that disability, renal failure and diabetes are causing high levels of psychological distress in older Indigenous Australians. The Baker Heart and Diabetes Institute’s Dr Sandra Eades said the results should influence the Federal Government’s redesign of its Close the Gap targets. Dr Eades said.In the month before completing an interview for the study, a fifth of Indigenous patients aged 45 or over had experienced anxiety and depression requiring professional help, as well as feelings of restlessness and hopelessness. ‘“Physical health impacts on mental health. 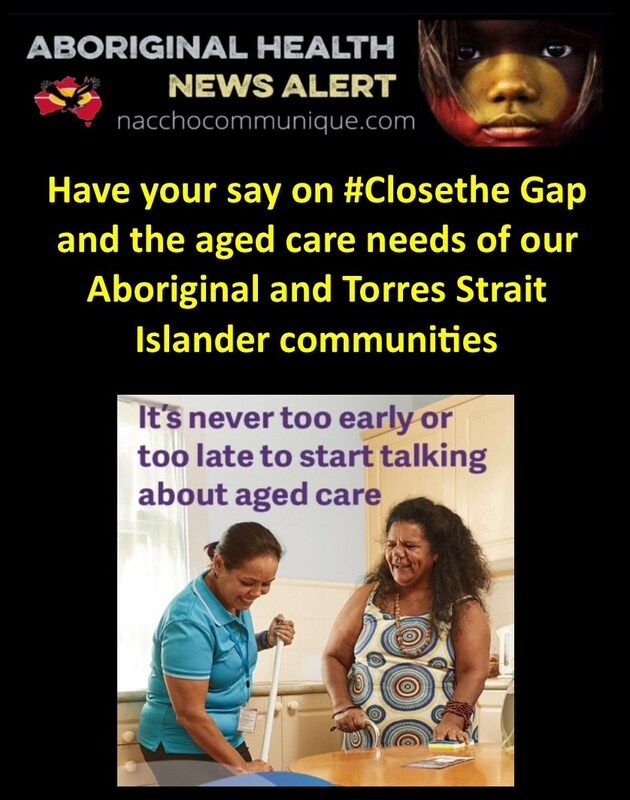 It really highlights the need for the importance of the refresh of the Closing the Gap targets,” Dr Eades said. “The Aboriginal share of the NDIS is between $1.6 billion and $2 billion, so that’s indicative of how much unmet need there is out there,” he said. “There are Aboriginal people that provide very good, high-quality care for their community members with disabilities, but what’s lacking often is the resources for them to be able to do that in a more substantive way,” Mr Griffis said. Mr Griffis has called for an overhaul of the National Disability Insurance Scheme (NDIS) to better accommodate Indigenous people. Dr Eades urged the federal and state governments to put a “stronger focus on [Indigenous] mental health in the next 10 years”. “They feel marginalised and they feel at the edges and periphery of society,” said Damian Griffis, the chief executive of First Peoples Disability Network Australia. Australians with severe physical limitations are more prone to being highly distressed, but that is especially a risk for Aboriginal people, the study said. The policy to improve the life expectancy of the Indigenous community is being reviewed, because it has seen little success so far. New research by the Baker Heart and Diabetes Institute shows this is the case for half of all Aboriginal people suffering from significant health problems.